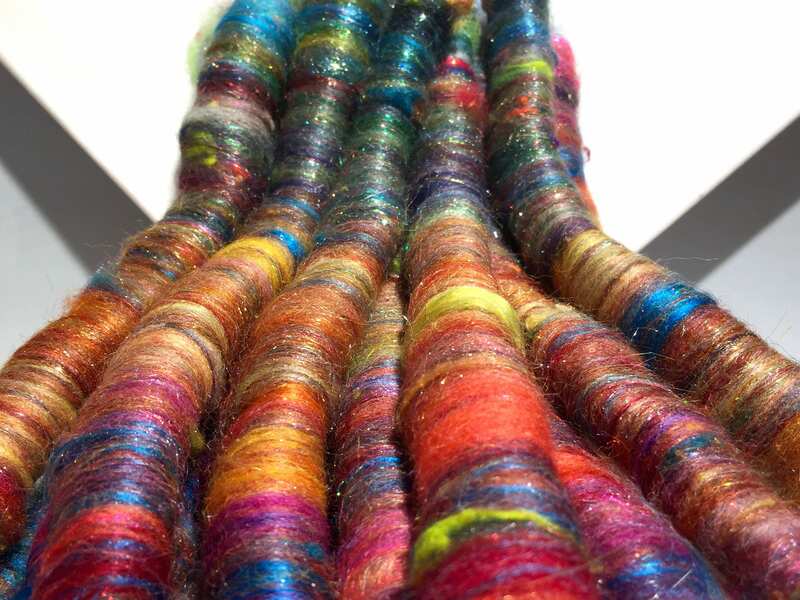 We sort our scrap fibers into primary and tertiary colors— red, yellow, orange, blue, green, violet — to make these rainbow rolags on our BIG carder. You can you pull on the ends to create roving. 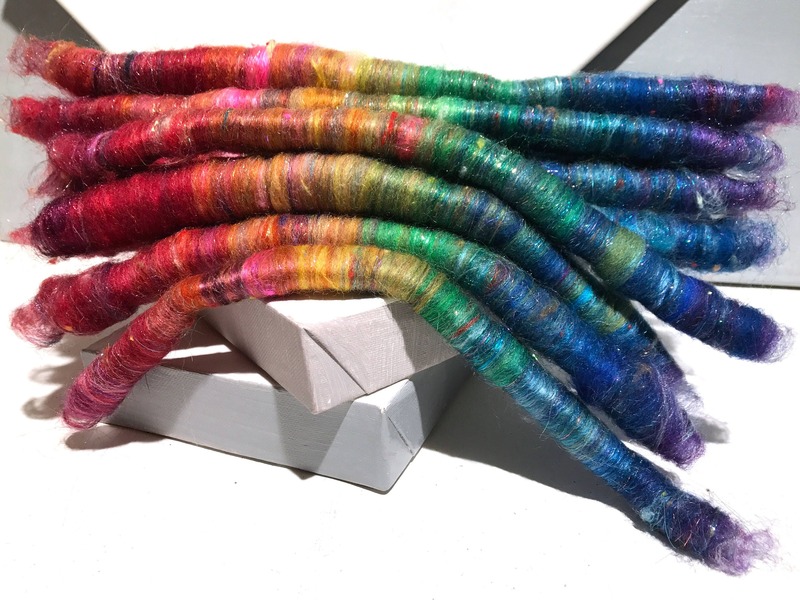 With this roving, you can spin it in to yarn, create cobweb lines in nuno felting, needle felting... Of course, you can always wet felt them, as is, to make dred locks! *Listing is for one ounce. Want this spun into a yarn? This batch is so beautiful, I will be afraid to use it! Sparkly and beautiful rolags. Can't wait to use them! 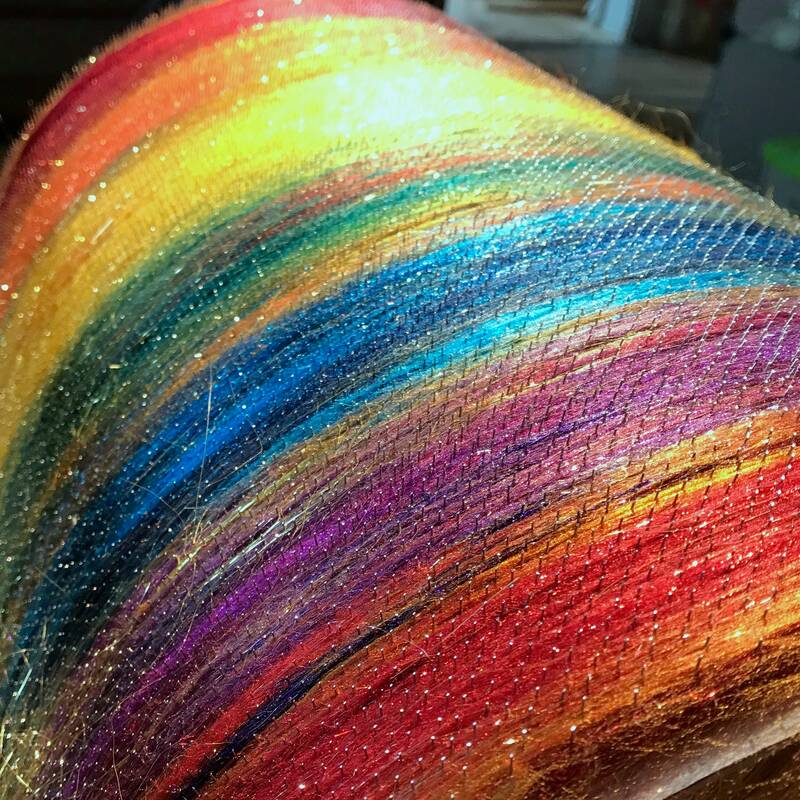 So happy I found this shop... beautiful fibers and great service! These rolags are even prettier than the pictures suggest, with rich, complex colors and just a hint of sparkle. I can't wait to see how they spin up! Oh my gosh, this is spectacular fiber! The colors are amazing and the *sparkle* is just perfect. Thank you so much!